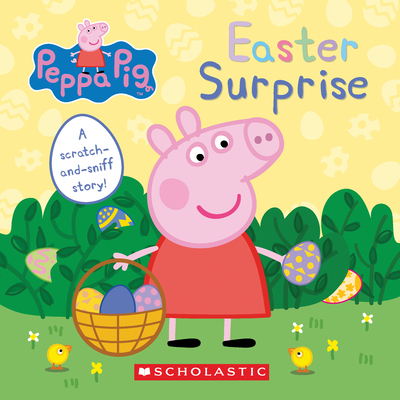 Peppa Pig and her friends hunt for Easter eggs in Grandpa Pig's garden -- and then Granny Pig gives them an extra special Easter surprise! Join Peppa as she searches for the hidden chocolate eggs, and scratch and sniff the wonderful springtime scents along the way! Based on the hit television show, as seen on Nick Jr.